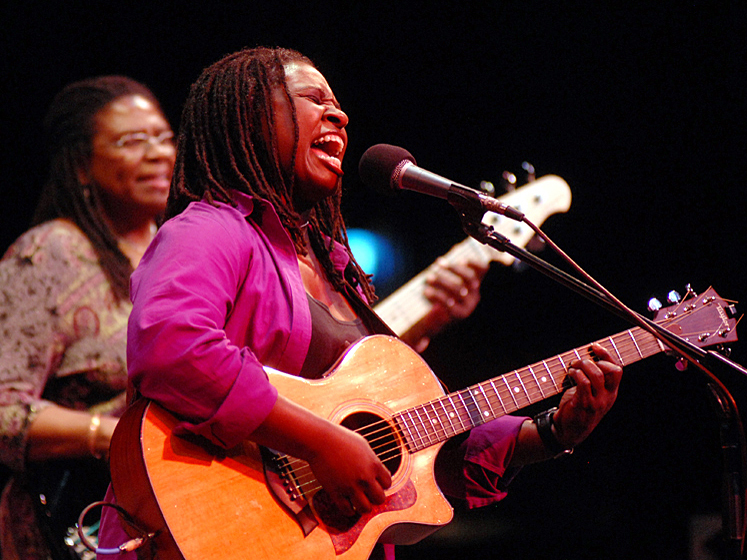 Ruthie Foster On Mountain Stage At 14, Foster was a soloist in her uncle's choir. From then on, her life revolved around music. Her latest is the critically acclaimed The Truth According to Ruthie Foster, in which she demonstrates her tremendous range of musical influences. Originally from Brazos Valley, Texas, Ruthie Foster grew up surrounded by many different kinds of American music, ranging from southern blues and rock to gospel and jazz. At the age of 14, Foster became a soloist in her uncle's choir, and from then on, her life revolved around music. She joined the Navy ensemble called Pride, where she was the only woman of seven band members who traveled around at recruitment drives playing funk hits. After moving to New York, she expanded her influences. Five albums followed, including her breakthrough, 2007's The Phenomenal Ruthie Foster. Foster's latest is The Truth According to Ruthie Foster, which demonstrates her impressive range of musical influences, from soul and funk to gospel and folk. Joined by Tanya Richardson on bass and Samantha Banks on drums, Foster performs cuts from The Truth..., including the Patty Griffin-penned "When It Don't Come Easy." This feature originally ran Jul. 15, 2009.